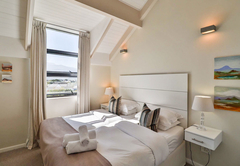 The Whale Coast Hotel is a 4 star graded hotel offering Hermanus accommodation for tourists and visitors of Cape Overberg. 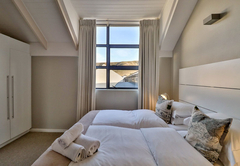 The Whale Coast Hotel is situated in the heart of Hermanus in the Western Cape and offers a unique experience in elegantly styled apartment suites, fully equipped for self-catering in unrivaled luxury. 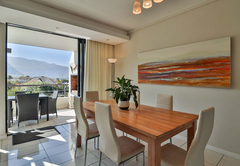 The picturesque coastal village of Hermanus known as the whale capital of South Africa offers a prime location in the midst of the scenic Cape Whale Coast only 90 minutes from Cape Town. 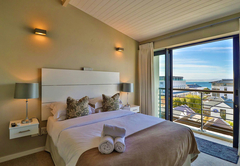 This stylish family-friendly hotel welcomes children of all ages year round and its’ central location offer guests the ideal accommodation choice within walking distance to all local restaurants, boutiques, coffee shops, bistros as well as exciting outdoor activities and the world-famous cliff path. 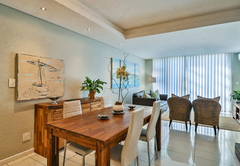 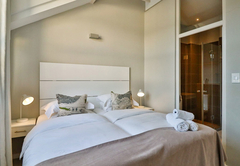 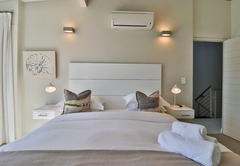 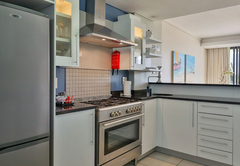 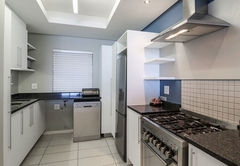 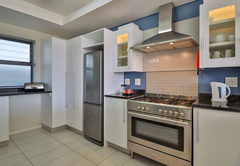 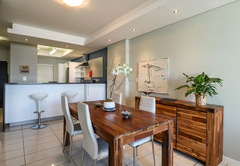 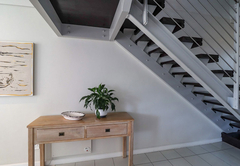 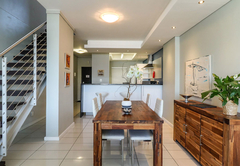 The designer-chic suites have been decorated in cool contemporary colours and furnishings and equipped with all the necessary modern appliances to ensure a leisurely experience in the heart of Hermanus. 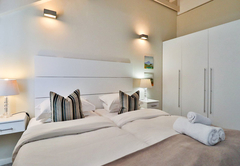 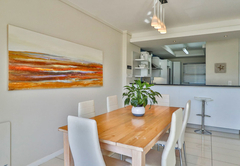 As an added luxury apartments are serviced daily making your stay as comfortable as possible. 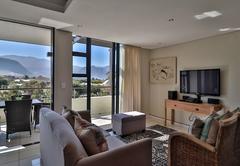 The apartments boast either two or three bedrooms elegantly decorated with contemporary fittings, fixtures and furnishings. 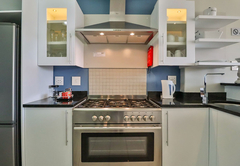 Fully equipped kitchens offer a dishwasher, fridge / freezer, oven and hob and granite finishes. 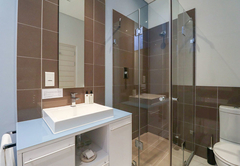 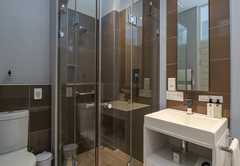 Luxury bathrooms include heated towel rails in the master bedrooms. 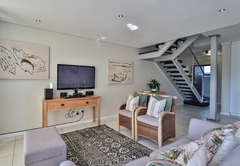 The open-plan lounge boasts a large flat screen LED television with selected satellite channels. 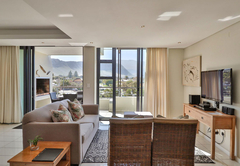 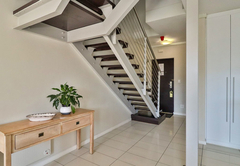 Other facilities include complimentary Wi-Fi, private safes for valuables, and spacious furnished patios with BBQ facilities, secure underground parking and 24 hour security. 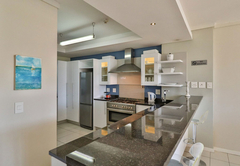 The Cape Whale Coast has much to offer by way of outdoor and water based activities. 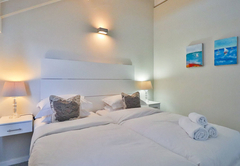 You'll find interesting museums documenting the rich and varied history of this floral kingdom in addition to wonderful art galleries hosting works of the many artists who have chosen to make the Overberg their home. 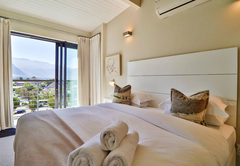 The Whale Coast Hotel offers you the finest in centrally located accommodation in Hermanus from where you can comfortably explore the beauty of one of the world’s most unique holiday destinations. 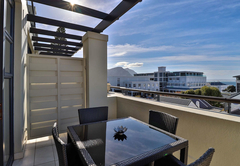 For the avid outdoor enthusiast you simply cannot do better than a visit to Hermanus on the Cape Whale Coast. 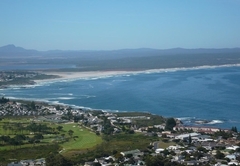 Great White Shark Cage diving, whale watching, paragliding, sailing, hiking, biking, paintball and quad biking to name but a few. 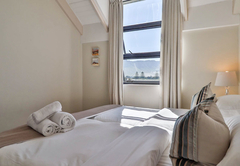 Our luxury two bedroom apartments offer en-suite bathrooms, heated towel rails, modern kitchens with a dishwasher, fridge/freezer, oven & hob, lounge and dining area. 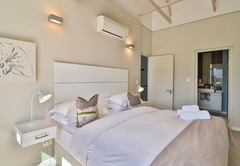 Other features include a plasma T.V, WiFi and furnished patios with BBQ facilities. 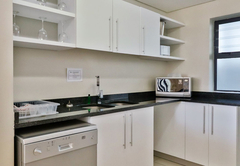 Our luxury three bedroom apartments offer 2 bathrooms, heated towel rails, modern open-plan kitchens with a dishwasher, fridge/freezer, oven & hob, lounge and dining area. 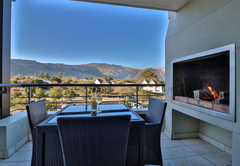 Other features include a plasma T.V, WiFi and furnished patios with BBQ facilities. 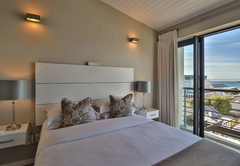 Our luxury three bedroom apartments offer 2 bathrooms, heated towel rails, modern open-plan kitchen, lounge and dining area. 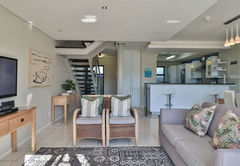 Other features include a plasma T.V, WiFi and furnished patios with BBQ facilities and upstairs and downstairs air-conditioning. 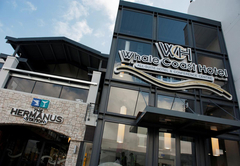 Response timeThe Whale Coast Hotel typically responds to requests in 5-10 minutes.